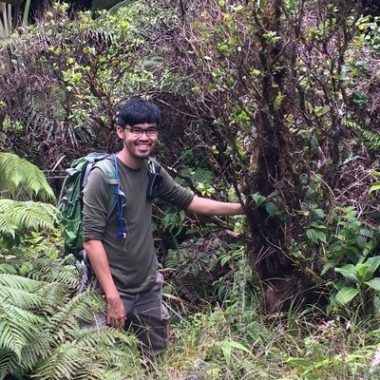 "I am very interested in untangling the relative role of various processes on the way ecological communities assemble; in particular, developing ways to try to incorporate diversification dynamics, evolutionary history, ecological networks, and patterns of trait evolution into our understanding of such processes. Some of my previous work has revolved around understanding how phylogenetic diversity interacts with spatial scale and applying those insights to understanding the community phylogenetic patterns of British grassland communities and the phylogenetic patterns of invasive species in the British flora. I am currently co-advised by Professors Rosemary Gillespie and Charles Marshall, and am also currently involved in a citizen-science project focused on digitizing and managing museum specimen label information from the Essig Museum of Entomology here in UC Berkeley."